This stunning photo of the Busby bridal party was taken by the awesome Moodyography team. 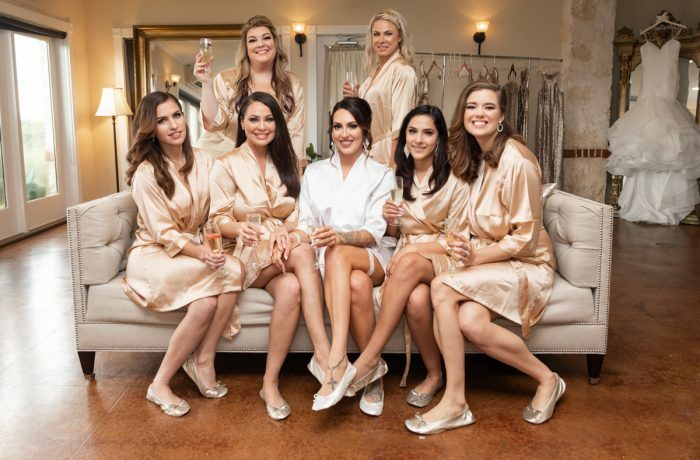 All of the ladies in this bridal party was glammed by the Austin Wedding Makeup Artists, Brigette and Christina of Luxe and Lotus Beauty. The entire wedding party got their hair styled by the talented Samantha of SC Beauty 4 U. The wedding was made possible with one of the best wedding planners in Austin, Ashley Nicole of Ashley Nicole Affair. This Austin wedding was located at the Vintage Villas and all of the stunning floral arrangements were made by Tricia at Romantic Florals.